Buy Crow Based Network a coffee. ko-fi.com/corvidae - Ko-fi ❤️ Where creators get paid by fans, with a 'Buy Me a Coffee' button. 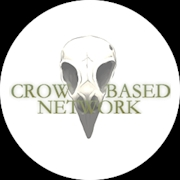 Crow Based Network is a single-man team that aims to string together the numerous aspirations of its creator. These aspirations include but are not limited to writing, voice acting, and fiction editing. This Ko-Fi currently serves as a supplementary tip jar rather than a mainstream means of updating and income. Secured Payments. Support goes to Crow Based Network's account. Upgrade Crow Based Network to a yearly Gold Membership with a one-time payment.